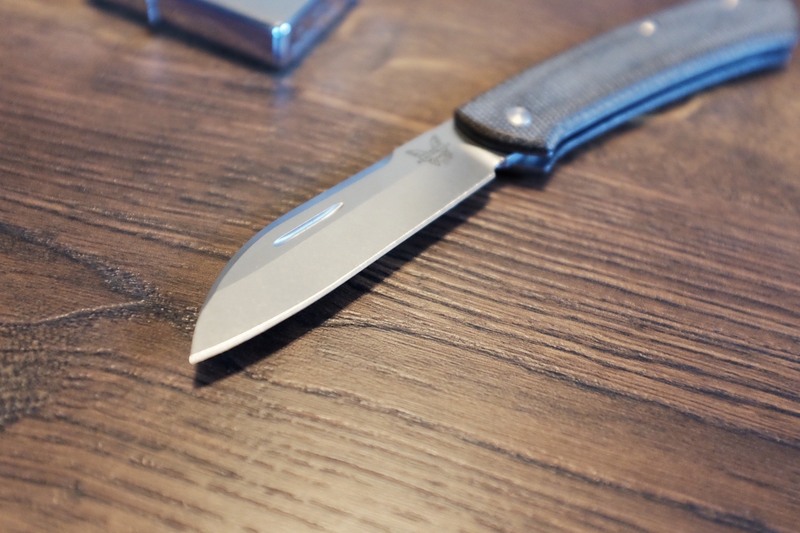 If there was one knife I spent all of 2018 wanting, it was this knife: the Benchmade Proper. This is a fantastic looking knife and a bit of a modern take on an older knife style. I’ve been using this knife now for about three weeks and I have fallen in love with it. It is fantastic, so let’s dive in. The idea behind this knife was to craft something that looks like it could belong to a man 30 years ago, but using modern materials and techniques. 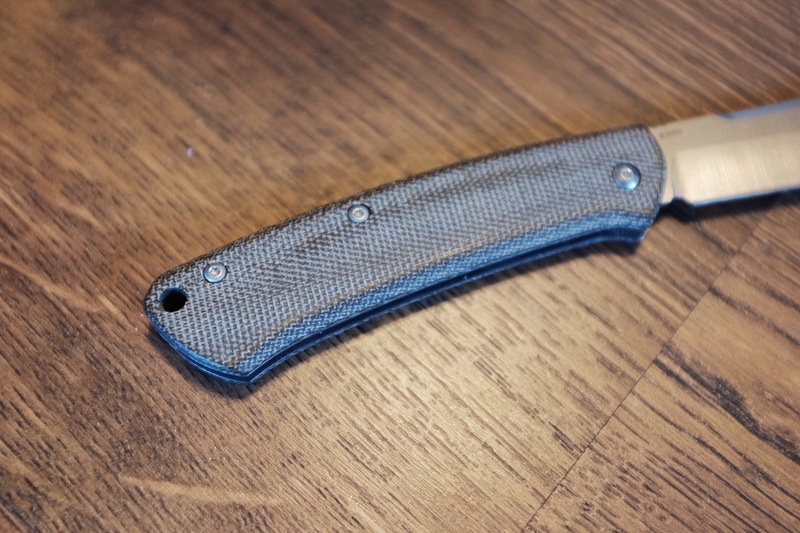 It is a slip-joint knife (non-locking is what that means), but which comes with a very nicely crafted micarta handle (there’s a couple color options) and two blade shapes are offered. The standard is a clip point design, and the one I chose is a sheepsfoot design. Both are time tested and proven, but I felt the knife looks substantially better with a sheepsfoot. 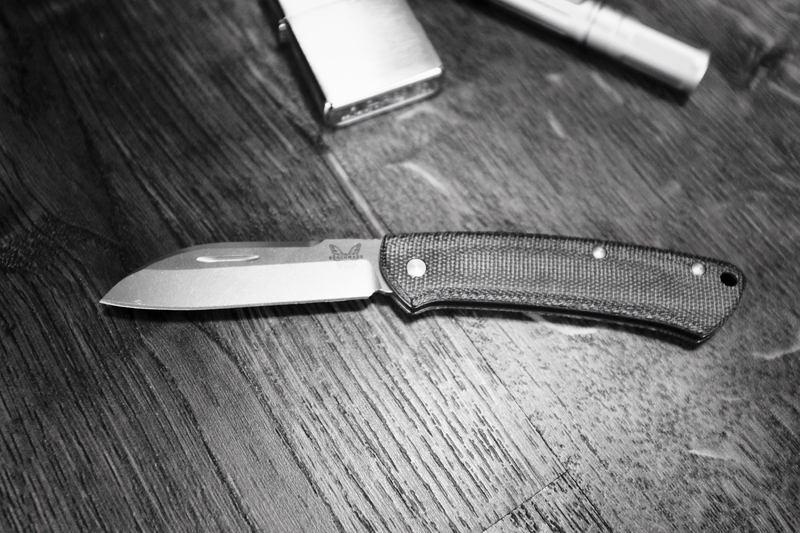 Overall, this is a knife that was made for everyday carry situations. As mentioned, I chose the sheepsfoot blade shape, and Benchmade chose to make the blade out of CPM-S30V steel. This is a good steel, if a bit old. It’s not as sturdy as CPM-S35VN or any of the newer steels but it is cost effective and performs well. The biggest thing about this particular knife is the blade shape, so I’ll focus a bit on that. Sheepsfoot designs have been around for a very long time, however they are less common than a classic drop point and thus many won’t have used them. The big difference between the two is that a sheepsfoot doesn’t come to a point (though it still has a tip) whereas a drop point does. This means there’s more blade material throughout the blade on a sheepsfoot, and generally this means the tip of the blade isn’t as fragile. Carrying this knife in your pocket is a dream. 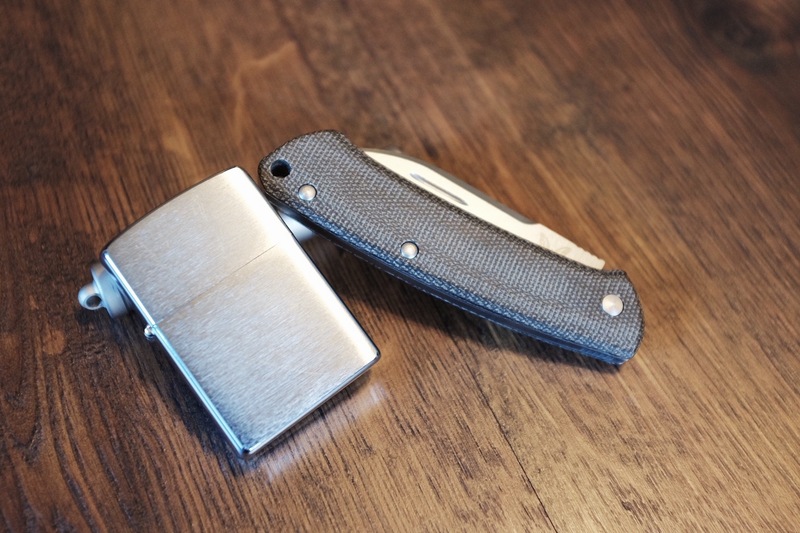 There’s no pointy bits to it, the micarta handle is smooth and offers a fantastic tactile response when you reach into your pocket. There’s also no clip, which is shocking in that I love that omission, but many will hate that. Alright, so how is it to use this knife? I’ve been carrying it non-stop for weeks now, and given that it has been the holiday season, it’s seen a ton of use (so much so I had to sharpen it already because I have been using it so heavily). 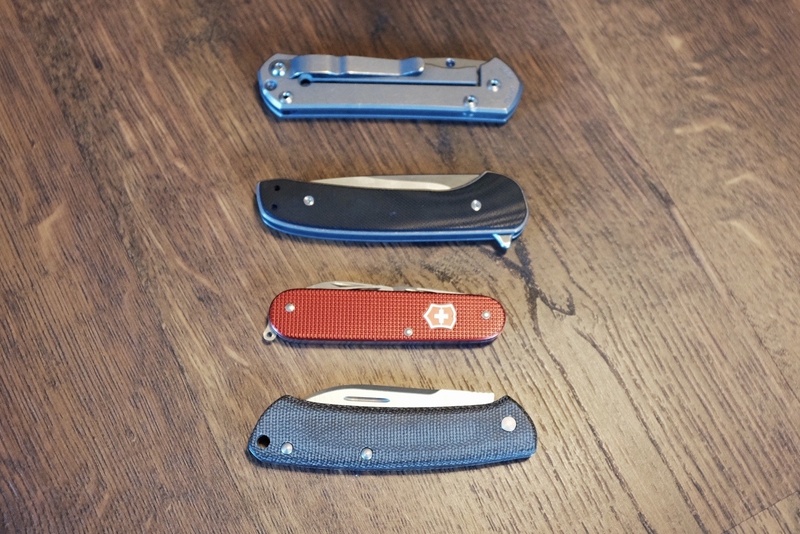 I have but two things to say about using it: I feel very connected to the knife when I use it, and while it has ups and downs compared to other knives I own, never did I stop and wish I had another knife in my hand. For me, with an EDC knife, that’s the true testament to usability: have you ever stopped while using it to wish you had your other knife? With the Proper, that never once happened, it never even crossed my mind. Where this knife really takes some getting used to is in the deployment. 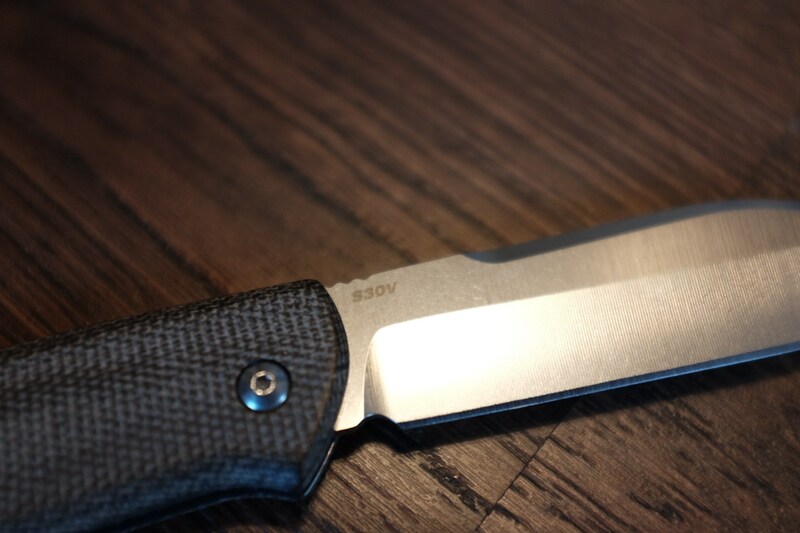 Because of the style of knife, it is not only a slip joint, but it doesn’t have a mechanism to open it with just one hand. So forget about even trying that. There’s a grove for your nail to grip the blade to open it, but with the sheepsfoot blade there’s little need for that as there’s plenty of exposed blade spine to grip. In my use, it has only been mildly annoying to deploy the blade with two hands. You have to adjust your thinking a bit, so you get the knife ready first, and then what you are cutting, rather than the opposite which was my typical approach with one hand opening blades. It was a slight thought adjustment that took about a day to master. Closing the blade is safest if done with two hands, but can be done one handed if needed. The action on closing the blade is a bit fast, so I do recommend using two hands to help make sure your knife hand remains free from a potential chopping situation. One thing I really love about this knife is the handle. I am a huge fan of micarta handles to begin with, and the Proper is no exception there, but the shape of the handle is fantastic. It’s thin and curved, yet it has enough height to rest comfortably in your hand. It’s easily controlled and easily gripped. It’s a real joy to hold this knife and use it. I absolutely love this knife, and it’s likely going to become my most carried knife. It lacks the refinement and durability of the Chris Reeve Small Sebenza 21. It lacks the value proposition and sleekness of the Ferrum Forge Gent. But it feels like an instant classic and it lacks any intimidation from the blade. It’s a true tool, and not something which would easily be mistaken for anything else. This won’t be something you want to take in the woods, camping, or hiking, but for an everyday carry blade it’s simply fantastic. There’s something very special about this knife.